Description: In old Hong Kong, there are water faucets by the road side. 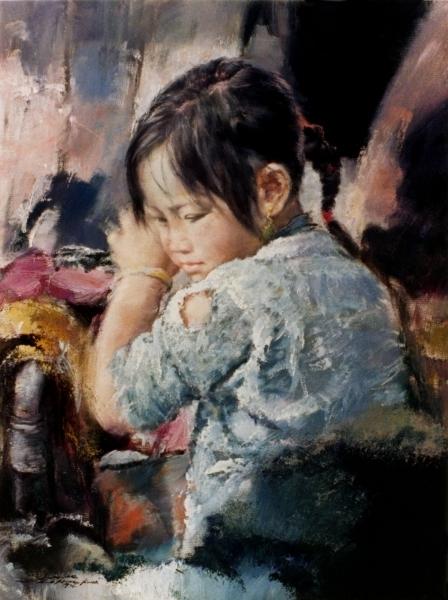 The girl in the picture is young, but she share some of the household chores with her mother. Getting water from a public faucet is one of them. Though its hard work, she does it gladly, because she knows that it means one less chore for he mother to do and a little more time they can spend together.